During her 2015 campaign, Barcelona’s mayor Ada Colau promoted the idea of launching a local currency in her city. Colau viewed a local currency as a way of defending independent businesses and residents from rapidly-rising rents and benefits that are disproportionately reaped by corporate chains instead of local stores. Though the community currency failed to materialize in Barcelona, the city immediately to its northeast, Santa Coloma de Gramanet, created a local currency this year. This currency — the grama — was designed to be an innovative way of enabling the city’s residents to protect their livelihoods from external economic threats, including a massive shopping center in the region. It is a digital currency, geographically-bound, designed to keep wealth circulating within the city. Local currency projects like the grama seek to increase the “local money multiplier effect.” The idea is that communities can increase their own wealth and build resilience by spending and earning the same units of currency between each other many times over, rather than having those units siphoned off quickly by corporations and non-local chains shortly after being earned. A 2016 evaluation in Santa Coloma which used a new method of measuring this local multiplier found that a whopping 90 percent of euros leaked out of the city in just three days. If the grama is truly impactful, this percentage lost to leakage will be significantly lower next year. 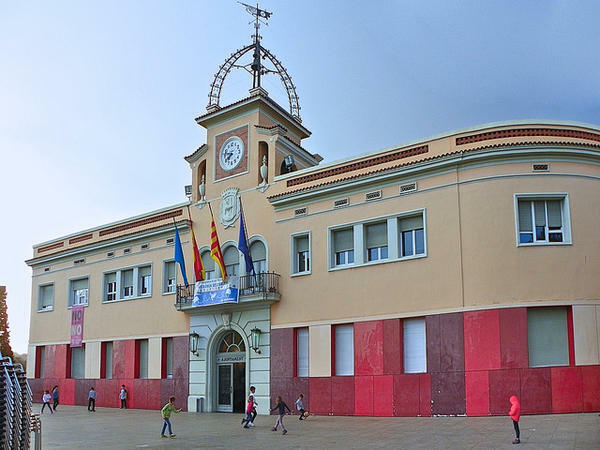 Andreu Honzawa Puig, consultant at Ubiquat Technologies, the organization implementing this currency program, says the project is funded by a European grant, but decision-making lies in the hands of the Santa Coloma City Council. Honzawa Puig himself presented the idea of a local currency to the City Council years ago. So how does it work? The City Council issues gramas when it denominates portions of its public spending in it, or when public sector employees voluntarily accept a percentage of their salaries in it. Gramas are fully backed by euros so they have the same value. They can be exchanged for euros, but users receive merchant discounts for using gramas. Importantly, each grama has a unique digital tag, allowing its duration in the system to be observed. Using this tag, a 5 percent penalty is imposed on exchanging gramas to euros before 45 days, with no exchange penalty after 45 days. These factors, though small, give users additional motivation to spend locally. Beyond Barcelona, this project will also be watched internationally. The grama was launched five months before the 4th Conference on Social and Complementary Currencies, which recently took place in Barcelona. Currency administrators and academics from around the world convened to exchange ideas about successes, failures, and potential for currency initiatives. And for those of us who visited Santa Coloma, we saw it in action as we paid for drinks and tapas entirely in gramas at a local restaurant. Disclosure: I am the Marketplace Coordinator for Ithacash, a currency in Upstate New York. A very important digital currency example for any poor community to implement anywhere. Exactly the thing the new digital currencies should be used for, not just for speculation as with bitcoin and ether. One problem: we can do it provided we have electricity. Already now the Cloud causes more global warming than international air travel. If all currencies run on high energy consuming computers we may be just hastening our own demise. 95% of Indians use cash and not contributing to global warming through digital banking at all. Yet they are the worst off in every respect. What to do.